I rode on the red trail on my leave and then on the blue trail on my way back home. The two blue lines show the moment the recording stops, on the way back. Almost 4 hours of raw footage. 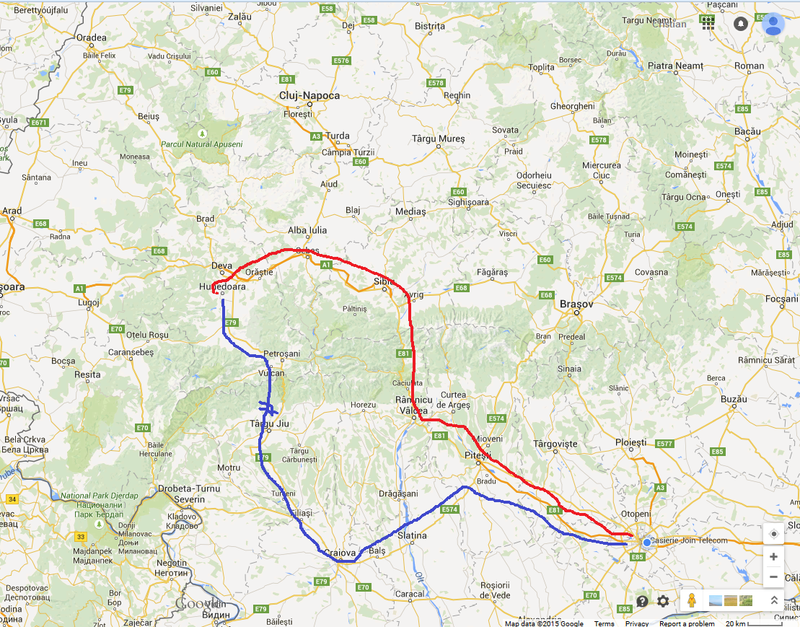 Long, I know, but also a way to show some of Romania’s beautiful landscapes, as I saw them from my motorcycle.